one freight container on a flatbed car on the CSX railroad tracks near 82nd and Campbell minutes after midnight Sunday, Jan. 3. 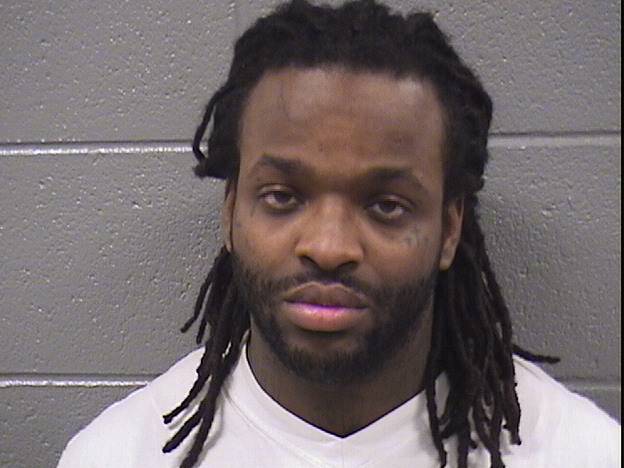 Brandon T. Moore, 27, of 79th and Troy, and Darius L. Johnson, 25, of 83rd and Artesian, are currently held on $100,000 bond and are set to appear in court at 51st and Wentworth on Monday. A CSX security officer told police that he spotted the pair using a bolt cutter to break the seals on at least one container before fleeing. They were apprehended after a foot chase, police said, and a bolt cutter was recovered from the scene. Burglars broke through an adjoining wall, entered the Dollar Store at 5839 S. Kedzie, and made off with two safes containing more than $10,000, according to the store owner. The crime occurred at 8:30 p.m. on Christmas Day, according to a video surveillance camera. The offender sped away in a van, the victim added. A 75-year-old Garfield Ridge man was tackled and robbed of $197 as he walked down a sidewalk in front of 5440 S. Nagle at 11 a.m. Sunday, Dec. 27. The victim told police he had just been at the currency exchange near Archer and Nashville to pay bills and was walking home when the attack occurred. The offender was described as a black man age 16-25, 5-foot-10 and 140 pounds, with brown eyes, black hair and a dark complexion. Want to work directly with Chicago Police to prevent crime in your neighborhood? 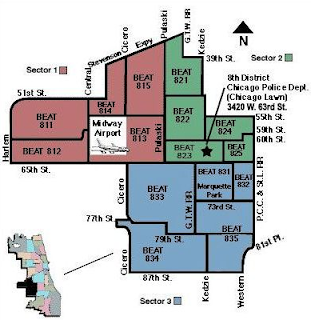 If you live in Beat 812 (see map), come to the Clearing Branch Library at 7:00 p.m. Wednesday, January 13. Hear updates on crime in your neighborhood and learn how you can work with neighbors and police to make the community safer and better for all. 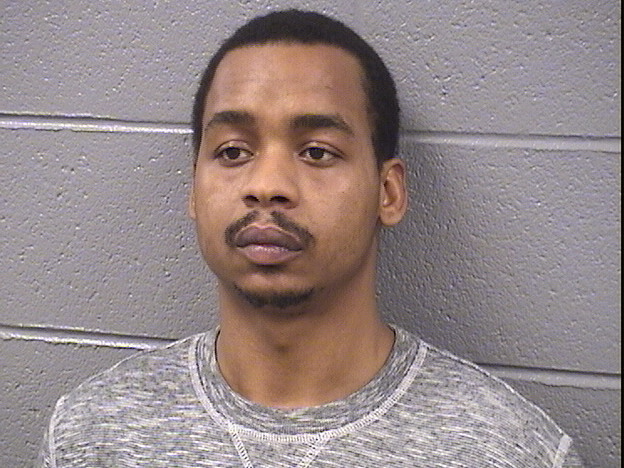 A 26-year-old Garfield Ridge woman said she was robbed at gunpoint as she walked down a sidewalk in front of 6274 S. Archer at 8 p.m. Wednesday, Dec. 23, although she did not report the crime until six days later. She told police she was approached by two men with a gun, who demanded cash. When she said she had no cash, they stole a ring and necklace, she said. She described the offenders as black men age 27-32, wearing ski masks. A driver for Pizza Castle, 3256 W. 55th St., was robbed at knifepoint as he made a food delivery to a residence near 58th and Whipple at 7:50 p.m. Saturday, Dec. 26. 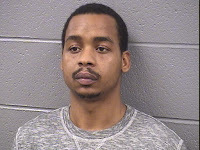 The victim, a 43-year-old West Lawn man, told police that as two men pretending to be customers motioned him over to where they stood, a third man with a knife walked up from behind and demanded the food and cash. The driver surrendered the food and about $90 cash, and the trio ran away through a gangway. They were described as Hispanic men age 20-35, of varying heights and weights. 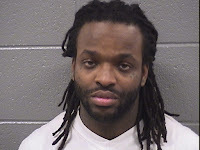 One offender had a tattoo above his left eye, which extended to his left cheek. A 49-year-old Woodlawn woman told police she was robbed as she stood in front of 6248 S. Francisco at 8:10 a.m. Saturday, Dec. 26. The victim said she was approached by a man who asked for 50 cents to buy a loose cigarette. When he saw she was carrying cash, he grabbed $62 from her coat pocket and ran away east through a nearby alley. The offender was described as a local vagrant, a black man age 42, 6-foot-1 and 180 pounds, with brown eyes, short black hair and a dark complexion. A 45-year-old homeless man was punched and then robbed by a trio of toughs as he walked down a sidewalk in front of 5100 S. Pulaski at about 2 a.m. Thursday, Dec. 31. The robbers stole $70 cash and three thin jackets the man had been wearing. They fled in an unknown direction, and the victim was transported by CFD ambulance to Holy Cross Hospital. The thugs were described only as white men. Two teenage boys—a 15-year-old from Chicago Lawn and a 14-year-old from Woodlawn—were robbed at gunpoint as they walked through the parking lot of Ford City Mall, 7601 S. Cicero, at 5 p.m. Wednesday, Dec. 30. The boys told police they were walking toward Wendy’s when a black Chevy Impala drove up and three occupants with guns demanded their belongings. The victims surrendered a belt, a pair of earrings and 50 cents before the robbers sped away. The offenders were described only as four black men and a black woman. Burglars tried but apparently failed to break into a garage near 67th and Kolmar. The crime and damage to the service door was discovered by the victim, a 34-year-old woman, at 11 a.m. Saturday, Dec. 26. Burglars smashed a front window of Masters Pancake House, 5265 S. Cicero, entered and stole about $500 worth of frozen meat. The crime was discovered by police responding to an alarm at 2:25 a.m. Sunday, Dec. 27. Burglars forced open the back door of a home near 84th and Hamlin and stole a TV, a mink coat, four watches and a computer. The crime was discovered by the victim, a 52-year-old man, when he returned from a two-week Florida vacation at 11 a.m. Sunday, Dec. 27. Burglars forced open the door of a garage near 64th and Laramie and stole four rims, a stereo system, an amplifier, a pair of Tommy Hilfiger boots and other items. The crime was discovered by the victim, a 39-year-old woman, at 11 p.m. Wednesday, Dec. 23, but not reported until four days later. Burglars forced their way into a garage near 57th Place and Hamlin and stole an air compressor and a snow blower. The crime was discovered by the victim, a 36-year-old man, when he came home from work at 3:30 p.m. Monday, Dec. 28. A 26-year-old U.S. Postal Service worker reported that a man stole her purse from her USPS vehicle while she was making a delivery in the 3400 block of West 83rd Place at 3:20 p.m. Monday, Dec. 28. The offender was described as a black man age 30-40, 5-foot-9 and 155 pounds, with a light complexion. He was wearing a black leather trench coat and a black Kangol-brand cap. A U.S. Postal Service worker reported that her USPS vehicle was burglarized while she was delivering mail near 51st and Kilbourn shortly after 1 p.m. Monday, Dec. 28. The offender smashed a glass window of the vehicle and stole an undisclosed amount of packages. A 63-year-old Archer Heights woman reported that burglars pried open the back door of her home near 45th and Kedvale, ransacked two bedrooms and stole assorted pieces of jewelry. The crime was discovered at 10:30 a.m. Tuesday, Dec. 29. A neighbor who may have witnessed part of the crime said he saw a maroon Ford parked in the alley by the victim’s garage. Burglars entered a garage near 55th Place and Lawndale and stole a snow blower. The crime was discovered by the victim, an 80-year-old man, at 6 a.m. Wednesday, Dec. 30. There was no apparent sign of forced entry, according to the police report. Burglars entered an apartment near 53rd and Kildare and stole a gold wedding band and three gold chains. The crime was discovered by the victim, a 45-year-old woman, at 10:15 p.m. New Year’s Day. Burglars forced open the overhead door of a garage near 63rd and Laporte and stole three saws. The crime was discovered by the victim, a 63-year-old man, at 5:50 a.m. Saturday, Jan. 2. A witness told police he saw a SUV speed away from the scene. Burglars kicked in the service door of a garage near 59th and Mulligan and stole a lawn mower, an edger, a bicycle and assorted tools. The crime was discovered by the victim, a 31-year-old man, at 5 p.m. Thursday, Dec. 31.